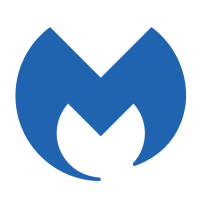 Hello, Welcome to Malwarebytes. I'm nasdaq and will be helping you. If you can please print this topic it will make it easier for you to follow the instructions and complete all of the necessary steps in the order listed. === Your logs are clean. MBAM remove the script before it could be executed. Stay safe. any update on the anfibia software ? Hi, It's no longer supported by Firefox. https://addons.mozilla.org/en-US/firefox/addon/hoverzoom-plus/ Where did you get that Extension and when? Hi, Nothing suspicious was found in your logs. Navigate to this page and see if you can find a solution to your slow Boot Time. 6 Tips to Fix Slow Boot Times in Windows 10 https://www.makeuseof.com/tag/windows-10-slow-boot-issues/ Keep me posted. Is this available yet ? I'm not sure that I understand. The Report All Messages part is not something associated with Malwarebytes, so it must be an iOS feature that shows up when you have registered an app to handle call reporting. I'm not sure under exactly what circumstances that message appears. The screenshot you're showing is of the new reporting functionality provided by Malwarebytes through the new reporting APIs provided by iOS. It should appear regardless of what network you're on, if you use the new reporting method. Yes, I'm sure you did. It is because just as with the file listed on that VirustTotal page, your file is a 0 byte file meaning it is completely empty/no content, and any file that is 0 bytes/has no contents (regardless of what it might be named) will have the same hash/checksum, so the results will be the same. The file name and path/location is what you need to use to research it if you wish to find out what it is and where it came from which is why I speculated that it appeared to be a trace left over from a Conduit PUP/infection because Conduit would create a file by that name in that location according to the information I found (and I suspect that's the purpose of this signature in ADWCleaner that is detecting the file as well, though I do not know for certain as only Research would have access to that information). weird . I’m sure I have to upload the "END file" to virus total but not sure why they have give back another name for this file ! I can to upload this file as in attachment if needed . anyway ، is this file safe or unsafe and why it has 0 byte anyway ? and also , VT says "file published by a trust developer" , in other word should I manually remove of this file since all other anti-malware scan came back clean expect adwcleaner ! Block has been removed on 2019-04-16. The scan reports shown on the 'Reports' tab of MalwareBytes (3.7.1) are listed in an apparently random date/time order. Is there some way to make the list appear in earliest to latest order?